WPCentral has an exclusive look at the originally mysterious Xbox LIVE game that was discovered through it’s achievements list, MonstaFish. MonstaFish is developed by the same crew behind IonBallEX and Battlewagon, IronSun Studios. The quick story behind this Xbox LIVE game is that the player has to remove some intoxicated fish from the given environments and levels, through different game modes as well. 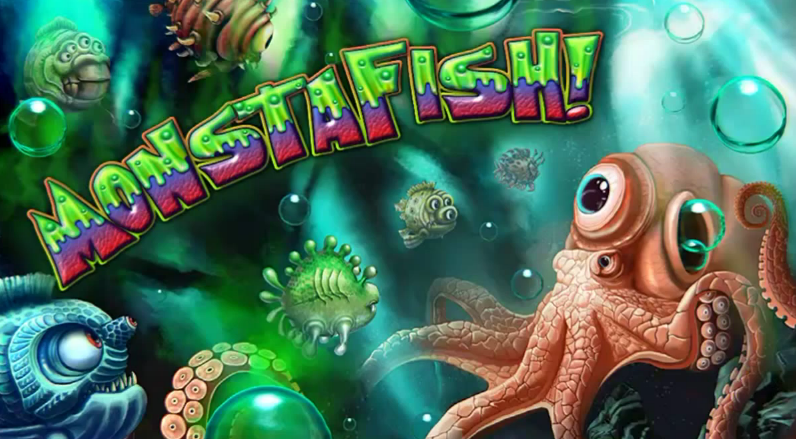 MonstaFish: In the main game type, a friendly super-Octopus (which seems to be a mutant too) spits out a constant stream of bubbles which players can use to damage the unfriendly MonstaFish. Bubbles can be combined into Mega and Hyper Bubbles to deal more damage. Each level’s pollution meter constantly rises, so you’ll need to work quickly in order to avoid a Game Over. Fish Hook: Not all of the fish in the ocean have turned into Monstas. In this mode, you’ll drop a hook into the water to rescue the untainted goldfish. Dodge the MonstaFish, toxic barrels, and other obstacles as you reel in the number of fish needed to move on to the next level. Fish Hunt: Fishing and hunting go hand in hand, right? 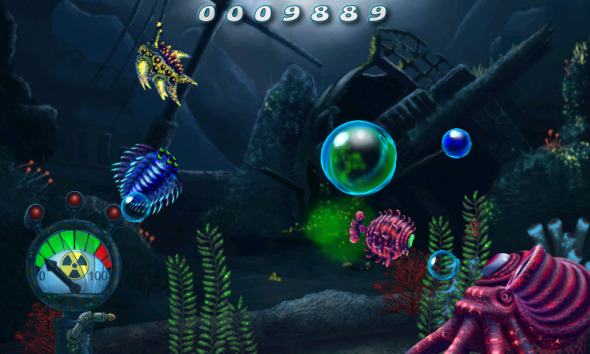 In this mode, the player’s submarine is equipped with a couple of wobbly scopes. Wait until one or more MonstaFish swim through and blast them! Earn multipliers to boost your score. Each miss adds to the pollution meter – once it fills up, the game ends. Time Attack: In this mode, simply tap MonstaFish to defeat them. The aquatic menaces come from both sides at once in larger and larger numbers. Defeat as many of them as possible as you chase high scores in the allotted three minutes. Fish Tank: Take a break from frantic fish fighting in this relaxing mode. Your tank starts with a single fish to tend. Keep the tank clean and fish well fed and you’ll attract new fish to keep. The game modes in MonstaFish are quite similar to the play style system found in Battlewagon. Also, as we originally noticed in the achievements list, each game mode has it’s own respective set of achievements, therefore no player will leave any game mode un-played. IronSun Studios’ IonBallEX and Battlewagon previously received permanent price drops to $0.99, and MonstaFish will be available on May 20th at $0.99 from the get-go.